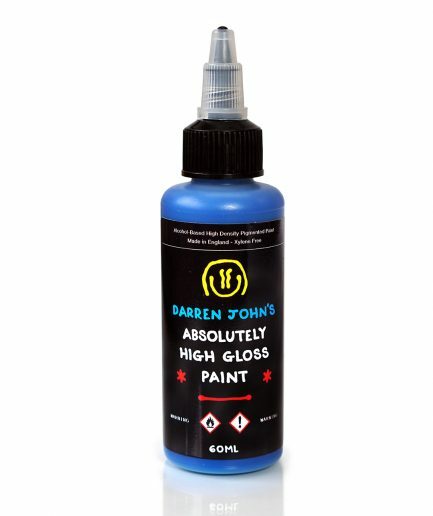 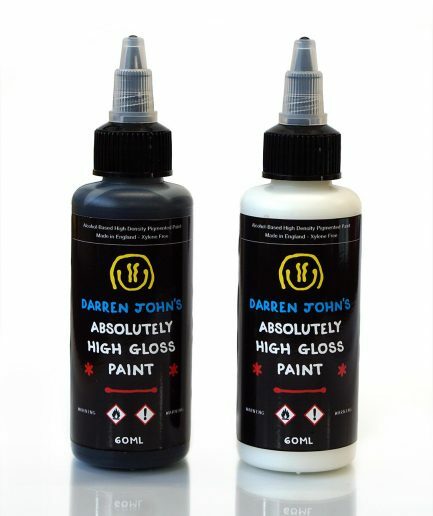 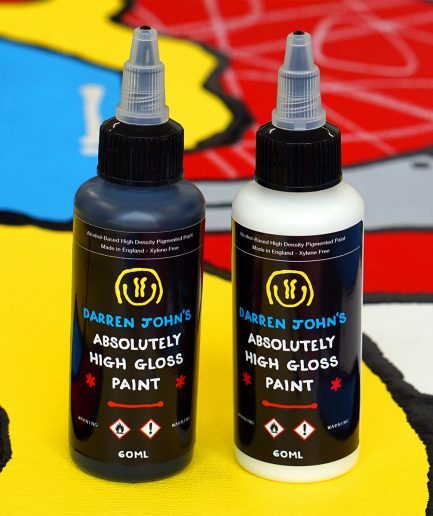 Absolutely High Gloss Paint in Black & White – 60ml. 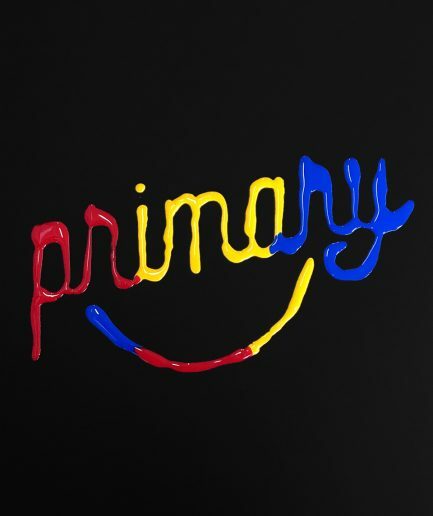 No collaborations, no brand affiliations. 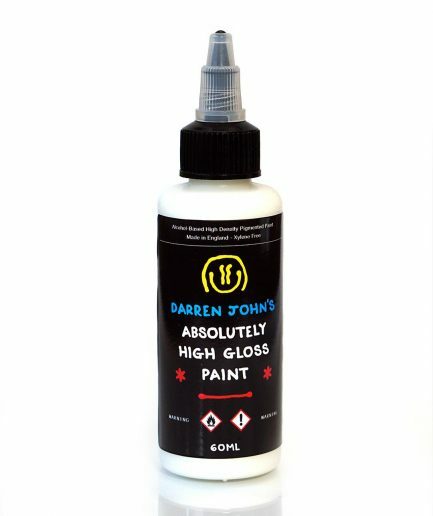 Custom paint formulation from Dojo HQ to ensure durability, quick drying and with a twist cap to open and close the flow of paint. 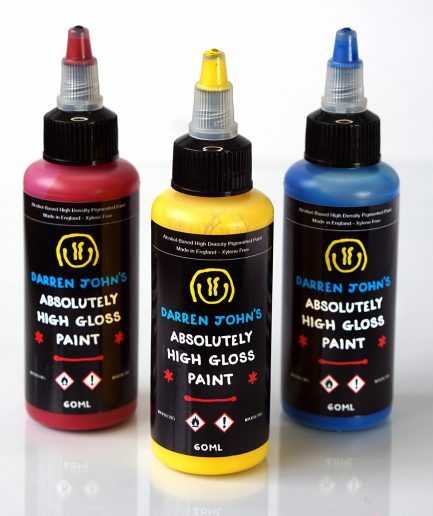 Bottles arrive with a travel plug to prevent spillage in transit and will need removing before usage. For best use, use horizontal on flat surfaces. 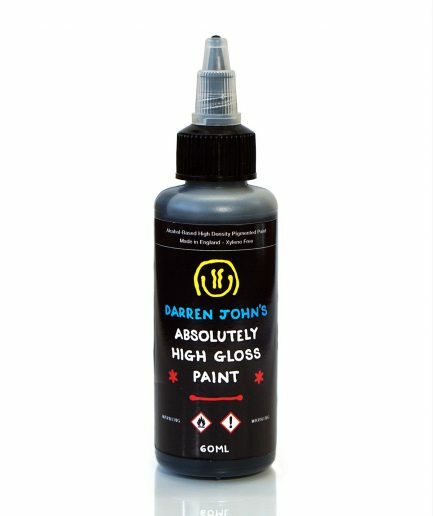 Alcohol based and high pigmented. 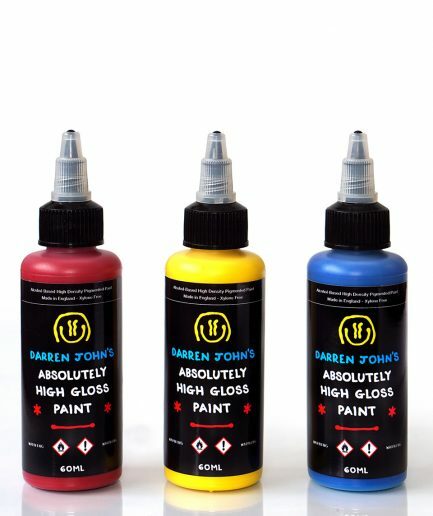 Xylene free.